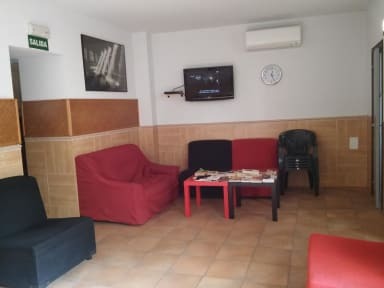 In the best tradition of European hostels, we offer you a place where you can rest after a long day of sightseeing around the medieval city of Toledo. It is a city that has been declared World Heritage Site. 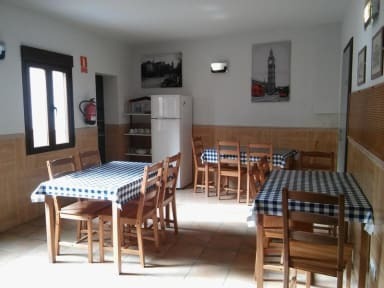 The hostel is in the heart of the Templar neighborhood, a place with little streets that can bring you to the Middle Ages and just a few meters away of Zocodover Square, center of traditional meetings for people from Toledo and visitors, very near of the Alcazar and the greatest Cathedral. All the rooms are equipped with air conditioning, central heating, WI FI and individual lockers. We hope to receive people from all the countries and cultures. It does not matter if you come alone or in a group, you will meet people from everywhere in the world and at the same time enjoy the greatest city of Toledo. Please note that check-in after 20:30 carries a surcharge of EUR 2.2€ per person, per night. Check-in after 23:45 is not possible. Cancellation Policy is 2 days; late cancellations and no shows will be charged the amount of the fist night. Payment Method. Credit Card or Cash. The 10% VAT is not included in the price. nice location and the host is willing to help in every details. great CP.